Explore hidden gems such as Room Escape Games and German Historical Museum. Change things up with these side-trips from Berlin: Memorial and Museum Sachsenhausen (in Oranienburg) and Potsdam (Sanssouci Park, Potsdam's Gardens, & more). 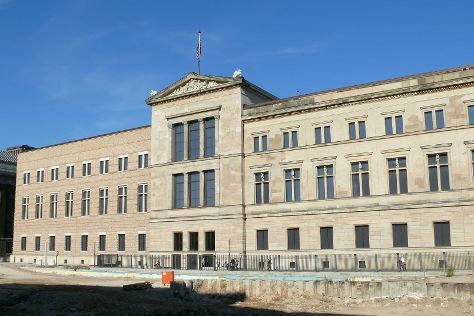 There's still lots to do: see the interesting displays at Neues Museum, make a trip to Potsdamer Platz, sample some tasty brews at a beer tour and tasting, and admire all the interesting features of Olympiastadion Berlin. To find other places to visit, traveler tips, where to stay, and more tourist information, read Berlin driving holiday planner. If you are flying in from France, the closest major airports are Berlin-Tegel Airport and Berlin-Schönefeld Airport. Cap off your sightseeing on the 25th (Wed) early enough to travel back home.